Hatice Altug is professor of Bioengineering Institute in Ecole Ploytechnique Federale de Lausanne (EPFL), Switzerland. 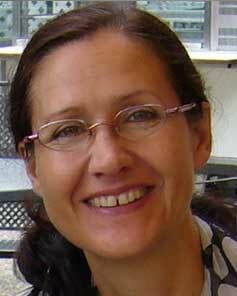 She is also director of EPFL Photonics Doctoral School. She received her Ph.D. in Applied Physics from Stanford University. Her laboratory is developing next generation biosensor and spectroscopy technologies enabling real-time, label-free and high-throughput analysis of low quantities of samples such as biomolecules, pathogens and live cells for applications in disease diagnostics, point-of-care testing, drug discovery and fundamental biological studies. Her lab expertise includes nanophotonics including plasmonics and dielectric metamaterials, micro/nanofluidic integration and new nanofabrication schemes for high-throughput and low-cost manufacturing. Dr. Altug is the recipient of 2012 Optical Society of America Adolph Lomb Medal, which is presented to a person who has made a noteworthy contribution to optics at an early age. She received U.S. Presidential Early Career Award for Scientists and Engineers (PECASE), which is highest honor bestowed by the United States government on outstanding scientists and engineers in their early career. She is also the recipient of European Research Council Consolidator Award, U.S. Office of Naval Research (ONR) Young Investigator Award, U.S. National Science Foundation CAREER Award, Massachusetts Life Science Center New Investigator Award, IEEE Photonics Society Young Investigator Award. She received Intel Graduate Student Fellowship, IEEE Photonics Society Graduate Student Fellowship. She is the winner of the Inventors’ Challenge competition of Silicon Valley in 2005, best paper and research excellence award by IEEE Photonics Society in 2005. 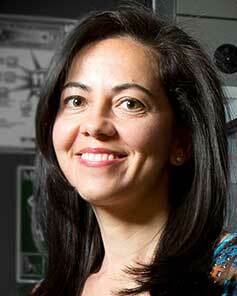 She has been named to Popular Science Magazine’s “Brilliant 10” list in 2011. 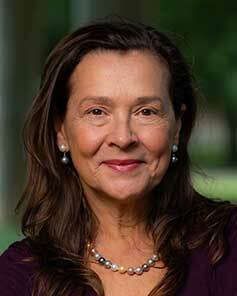 Naomi J. Halas is the Stanley C. Moore Professor of Electrical and Computer Engineering at Rice University, where she also holds faculty appointments in the Departments of Physics and Astronomy, Chemistry, Materials Science and Nanoengineering, and Bioengineering. She is best known as the first person to demonstrate that controlling the geometry of metallic nanoparticles determines their color. She pursues studies of plasmonic and nanophotonic systems and their applications. She is author of more than 300 refereed publications, has more than 20 issued patents, and has presented more than 500 invited talks. She has more than 60,000 citations on Web of Science with an h-index of 122. She has been awarded the APS Frank Isakson Prize and Julius Lilienfeld Prize, the R. W. Wood Prize of the OSA, the ACS Award in Colloid Chemistry, and the Spiers Medal of the Royal Society of Chemistry. Halas has been elected to the National Academies of Sciences and Engineering (U. S.), and the American Academy of Arts and Sciences. Professor Anatoly V. Zayats is a Chair in Experimental Physics and the head of the Photonics and Nanotechnology at the Department of Physics, King’s College London, where he also leads Nano-optics and Near-field Spectroscopy Laboratory (www.nano-optics.org.uk). 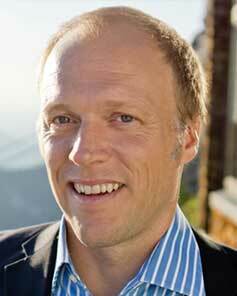 He is a Co-Director of the London Centre for Nanotechnology and the London Institute of Advanced Light Technologies. His current research interests are in the areas of nanophotonics, plasmonics, metamaterials, scanning probe microscopy, nonlinear and ultrafast optics and spectroscopy, and optical properties of surfaces, thin films, semiconductors and low-dimensional structures. Din Ping Tsai received Ph.D from University of Cincinnati, USA in 1990. He is a Fellow of AAAS, APS, IEEE, OSA, SPIE, JSAP, Electro Magnetics Academy (EMA), Physical Society of Taiwan; respectively. He is also Academician of Asia Pacific Academy of Materials (APAM), and Member of International Academy of Engineering (IAE). He currently serves as Editor of Progress in Quantum Electronics, Associate Editor of Journal of Lightwave Technology, Member of Editorial boards of APL photonics, ACS photonics, Physical Review Applied, Optics Communications, Plasmonics, Optoelectronics Letters, Opto-Electronic Advances, Small Methods, Advanced Quantum Technologies, respectively. He is now the President of Taiwan Information Storage Association (TISA). He was the Director of the Board of SPIE; Member of OSA Fellow Honorary Committee; SPIE Fellow Committee; Member of IEEE I&M Fellow Committee; IEEE Joseph F. Keithley Award Committee; OSA and IS&T Edwin H. Land Medal Committee; President of Taiwan Photonics Society (TPS); Chairman of IEEE Instrument and Measurement Society Taipei Chapter; and Chairman of the SPIE Taiwan chapter; respectively. 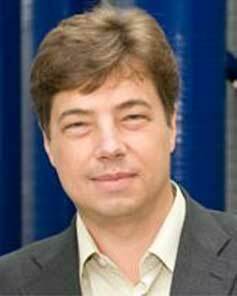 Prof. Frank Koppens obtained his PhD in experimental physics at Delft University, at the Kavli Institute of Nanoscience, The Netherlands. After a postdoctoral fellowship at Harvard University, Since August 2010, Koppens is group leader at the Institute of Photonic Sciences (ICFO). 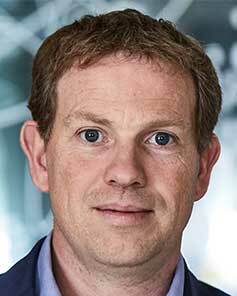 The quantum nano-optoelectronics group of Prof. Koppens focuses on both science and technology of novel two-dimensional materials and quantum materials. Prof. Koppens is vice-chairman of the executive board of the graphene flagship program, a 1000 MillionEuro project for 10 years. He is also the leader of the optoelectronics workpackage within the flagship. Prof. Koppens holds a GSMA Chair with activities related to the Mobile World Congress. Koppens has received five ERC awards: the ERC starting grant, the ERC consolidator grant, and three ERC proof-of-concept grants. Other awards include the Christiaan Hugyensprijs 2012, the national award for research in Spain, and the IUPAP young scientist prize in optics. In total, Koppens has published more than 70 refereed papers (H-index above 49), with more than 35 in Science and Nature family journals. Total citations >17.500 (google scholar). Joerg Wrachtrup, Professor and director of the 3rd Institute of Physics and the Center for Applied Quantum Science, University of Stuttgart (2000, continuing) as well as Max Planck fellow at the MPI for Solid State Research Stuttgart, has pioneered the field of single spin physics by initially doing the very first single electron and subsequently the first single nuclear spins experiments. By combining optics and spin resonance he discovered defects in insulators, most notably defects in diamond, as a valuable system for quantum information processing in novel type of quantum sensor for electric and magnetic fields. He and his group pioneered application of these novel sensor techniques. His current research interest is geared towards application of quantum enhanced sensing in bio, medical as well as material sciences. 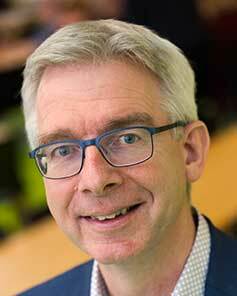 Professor Wrachtrup published close to 300 papers in refereed journals with numerous Nature and Science papers, plus reviews in both over the past years. In 2011 and 2017, he was awarded two Advanced Research Grant of the European Research Council, in 2012 he received the Leibniz Price of the German Science Foundation, in 2013 the Bruker Prize and in 2014 the Max Planck Research Award. He is member of the Berlin Brandenburg Academy of Science and has continuously been listed as “Highly Cited Researcher” since 2014. Prof. Peter Nordlander (http://nordlander.rice.edu, ResearcherID: A-2560-2008; ORCID: 0000-0002-1633-2937) obtained his PhD degree in Theoretical Physics at Chalmers University of Technology in Gothenburg in Sweden in1985. After postdoctoral positions at IBM Thomas J. Watson Research Center at Yorktown Heights (USA) and AT&T Bell Laboratories at Murray Hill (USA) and at Rutgers University, he joined the faculty at Rice University in 1989 and is currently Wiess Chair of Natural Sciences and Professor of Physics and Astronomy, Professor of Electrical and Computer Engineering and Professor of Materials Science and Nanoengineering. He has been a Visiting Professor at University of Paris, at the Institute of Physics at the Chinese Academy of Sciences, a C.N. Yang Professor at the Chinese University of Hong Kong, and at Peking University. 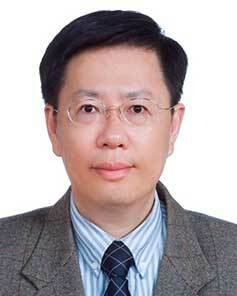 He is currently a Prominent Overseas Visiting Professor in the Department of Physics at Wuhan University. 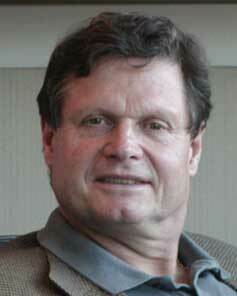 His research background is in theoretical condensed matter and nanophysics. His current research is focused on the theoretical and computational modeling of Plasmonics and Nanophotonics phenomena. He is an associate editor of ACS Nano. He is a fellow of APS, AAAS, SPIE, OSA, and MRS and is the recipient of the 1999 Charles Duncan Award for Outstanding Academic Achievement (Rice), the 2013 Willis E. Lamb Award for Laser Science and Quantum Optics, the 2014 Frank Isakson Prize for Optical Effects in Solids, the 2015 R. W. Wood Prize for Optics, and the 2019 Hershel M. Rich Invention Award (Rice). He has published more than 350 refereed articles, given more than 400 invited presentations at international conferences and workshops, has been cited more than 45,000 times with a Web of Science h-index above 100, and has been a Thomson-Reuters Highly Cited Researcher in Physics and Chemistry since 2013. 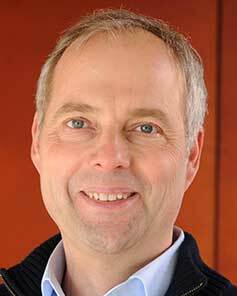 Albert Polman is program leader at the Center for Nanophotonics in the NWO Institute AMOLF in Amsterdam, the Netherlands, and Professor of Photonic Materials for Photovoltaics at the University of Amsterdam. Polman’s research group focuses on nanophotovoltaics, the study of light management at the nanoscale to realize solar cells with ultra-high efficiency that can be made at low costs, and develops cathodoluminescence spectroscopy as a super-resolution imaging technique for nanophotonics. He has published over 300 papers that have been cited 30.000 times. 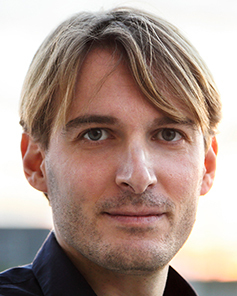 Polman is member of the Royal Netherlands Academy of Sciences and recipient of ERC Advanced Investigator Grants (2011, 2016), the EPS Research into the Science of Light Prize (2017), the Physica Prize of the Dutch Physical Society (2014), the Julius Springer Award for Applied Physics (2014), the ENI Renewable Energy Award (2012), and the MRS Materials Innovation and Characterization Award (2012). Polman is co-founder of Delmic BV that brings an instrument for cathodoluminescence spectroscopy on the market that was developed in his group. Dr. Kerstin Göpfrich studied Physics and Molecular Medicine at the University of Erlangen. She obtained her Master’s and PhD degree in Biophysics from the University of Cambridge, where she held a Gates Fellowship to work with Prof. Ulrich Keyser. She designed artificial ion channels from DNA origami and studied their functionality in lipid membranes, renowned with the Abdus Salam Prize. After her PhD graduation in 2017, she joined the MaxSynBio consortium and the Max Planck Institute for Medical Research in Heidelberg, focussing on the bottom-up assembly of synthetic cells. As a Marie Skłodowska-Curie Fellow hosted by Prof. Joachim Spatz, her current research combines microfluidics and DNA nanotechnology to engineer fully synthetic cells from synthetic parts. 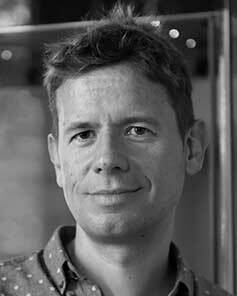 Stefan Maier is the Chair in Hybrid Nanosystems at LMU Munich and the Lee-Lucas Chair in Experimental Physics at Imperial College London. A graduate from Caltech, his research in nanoplasmonics received numerous awards, including the Sackler Prize in the Physical Sciences and the Paterson Medal of the Institute of Physics. Tim Liedl is Professor for experimental physics at the Ludwig-Maximilians Universität since 2009. He received his diploma in physics in 2004 in the group of Wolfgang J. Parak at Ludwig-Maximlians-University Munich (LMU) where he worked on the development of hydrophilic coatings for fluorescent semiconductor nanoparticles. In 2007 he obtained his Ph.D. in the group of Friedrich C. Simmel studying DNA-based nanodevices and switches which are driven by chemical oscillations. From spring 2007 till summer 2009 he visited William M. Shih’s laboratory at Dana-Farber Cancer Institute / Harvard Medical School where he used the DNA-origami method to construct self-assembling two- and three-dimensional structures. The research of Tim Liedl is multi-disciplinary and exploratory positioned at the interface between nanoscience, synthetic biology and cell-biology. Its current focus lies on the application of DNA-based nanostructures in biology and on self-assembled plasmonic materials. 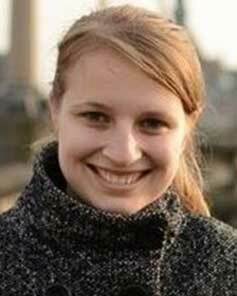 Annemarie Pucci (Lehmann) studied physics in Jena, Germany. Her doctorate studies at the university of Rostock were dedicated to the theory of optical phonons of disordered materials. Already as postdoc she started with infrared analytics of thin layers, which she later on continued at the university in Jena and, as guest researcher, in Troitzk/Moscow (ISAS), Tübingen (university), and Stuttgart (MPI-FKF). Before becoming a university professor for experimental physics in Heidelberg in 1995, she started doing surface science and He-atom scattering experiments at the physics department of the FU Berlin. Her research in Heidelberg is concentrated on studies of infrared excitations of surfaces, nanostructures, and thin layers from various inorganic and organic materials with focus on the couplings of different excitation types. She was the first who explained surface enhanced infrared absorption as a Fano-type effect related to plasmonic excitations. At the university of Heidelberg, Annemarie Pucci gives lectures on condensed matter physics, optical properties of condensed matter, and surface science. Her research projects included surface science, infrared plasmonics, bio-photonics, laboratory astronomy, organic electronics, and low-dimensional electron systems.